"Last year, my daughter worked as a volunteer at Peace Matunda,(http://peacematunda.org) a non-governmental organization east of Arusha in Tanzania. I joined her for a month and was very impressed with the work that the organization is doing under the leadership of Unambwe Zephania Kaaya (locally known as Kaaya), the director. At present the organization supports an orphanage for 24 children and a school with over 207 children from the local community." Janice continued, "Kaaya told us of the need to build another dormitory for older students - some of them afflicted by HIV. To move this plan ahead, he has already purchased some land close to the school so the children at this orphan facility can continue to attend school at Peace Matunda. We would like to help him build that orphanage." Other Canadians who have volunteered at the school, including Kayleigh Hortop (Ottawa,Canada) also give high praise for the facility. In late January 2012, John Geddes, Director of the CanAssist African Relief Trust was able to visit the school. He reported to the CanAssist Board that he was impressed with the facility and its organization. 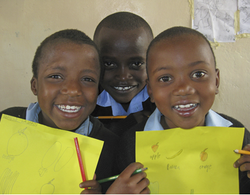 As the children at the school grow, the need for more dormitory facility is becoming urgent. In 2011, the Cicely Foundation from Britain funded construction of new classrooms and an improved orphan facility for the 24 children living within the compound at present. The proposed new orphanage building would be similar to the current building and built by the same contractor. The cost of this multi-roomed building will be about $39,000 Can. 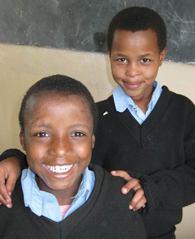 CLICK HERE TO READ ABOUT AN ADVENTURE TO CLIMB KILIMANJARO IN EARLY 2014 AND SUPPORT CONSTRUCTION OF THIS SCHOOL ORPHANAGE DORMITORY. If you would like to contribute to this orphanage building, please specify that your donation to CanAssist go to the Peace Matunda Orphanage.